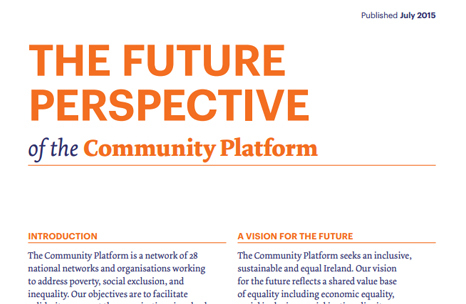 This paper sets out some key elements of the situation in Ireland after six years of austerity policies and proposes policy directions for a future Ireland that would better reflect the values of the Community Platform. 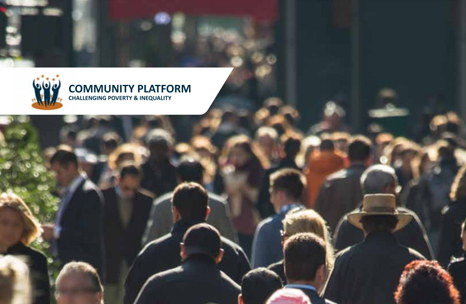 It builds on a body of policy work done in previous years by the Community Platform and is based on discussion and exchange with our member organisations. 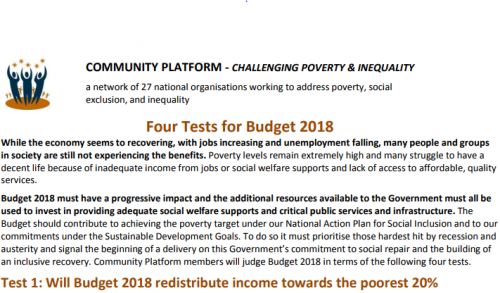 This report shows the human stories of some people who have been hardest hit by austerity policies and the devastation suffered by people on low income and social welfare throughout the recession. It features a series of interviews with families, individuals and community workers and who talk about how the recession and resulting government policies have affected their lives. The report documents parents going hungry to feed their children, people unable to heat their homes and a young generation at serious risk of being lost to unemployment, drugs and crime. 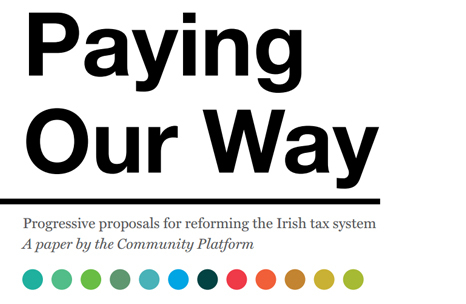 As part of our ongoing commitment to inform progressive public and policy debate, in 2010 the Community Platform commissioned TASC to analyse Ireland’s tax system. We asked TASC to compare our tax system to our EU counterparts and to provide an outline of what a progressive tax system could look like. The resulting research, produced by Michael Taft, represents a significant challenge to the prevailing policy consensus on this issue. It challenges many of the myths underlying support for Ireland’s current low tax model. It provides much needed comparative and empirical evidence in support of arguments for progressive reform.